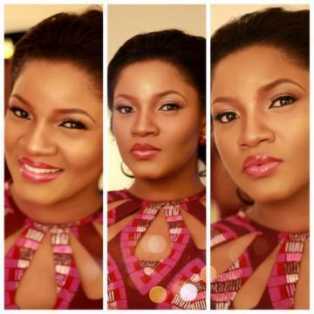 Stunning actress and reality TV star, Omotola Jalade Ekeinde seems to be getting accolades wherever she goes. As part of activities marking the 60th birthday and 7th installation anniversary of the Osemawe of Ondo Kingdom, Oba Victor Kiladejo, Nollywood superstar Omotola Jalade Ekeinde will be conferred with honarary Chieftaincy title. Others to be honoured include The Senate President, David Mark and the Minister of Communication and Technology, Mrs. Bolaji Johnson, President of Black Archaeologists in America, Olakunle Akinboboye and a Business Mogul, Engr. Raymond Akinyele. According to the Chairman of the Planning and Organizing Committee, Chief Noah Fadayomi, the awardees were divided into two categories. Mark and other non-indigenes fell into the first category of the awards, and they were picked due to their commitments to nation building. Johnson, Omotola Jolade, Akinboboye and others fell into the second category as indigenes of Ondo town and they were chosen due to their commitments to the development of the ancient community. The week long event, which starts on Wednesday November 6, is aimed at realizing the vision 2015 of making Ondo state a better place. Those in the first category will receive their titles on Saturday while those in the second category which Omotola falls under will receive theirs on Friday. Previous articleTonto Dikeh And D’banj An Item?! ?